Amankora Gangtey lies in the little-visited Phobjikha Valley near the isolated village of Gangtey. In the picturesque but little-visited Phobjikha Valley near the village of Gangtey, the eight-suite Amankora Gangtey is set on a forested knoll with sweeping views of the broad valley and the 16th-century Gangtey Goemba (monastery). Amankora Gangtey lies in the little-visited Phobjikha Valley near the isolated village of Gangtey. Part of one of Bhutan’s most important wildlife reserves, the valley is home each winter to a flock of 300 rare and endangered black-neck cranes. Lodge accommodations and guest facilities housed together. 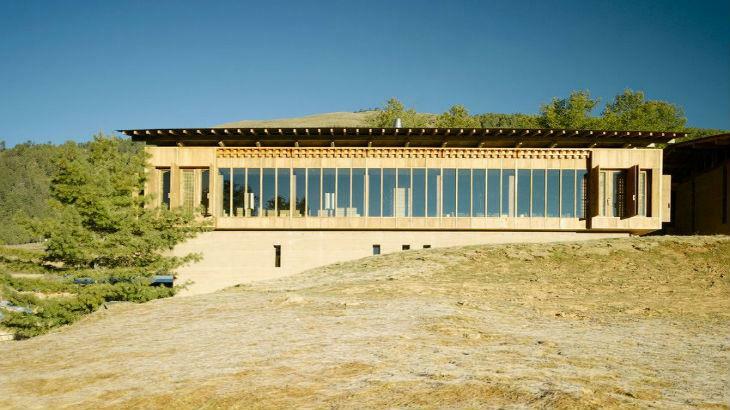 The combined Living and Dining Room features cosy chairs, sofas and family-style dining tables, all looking out through floor-to-ceiling windows over the valley and surrounding mountains. The dining room features a family-style dining experience of Western and Bhutanese food as well as an assortment of local and imported beverages. Spa facilities include two treatment rooms, changing areas, and offer guests a variety of treatments on the lodge’s ground floor.. 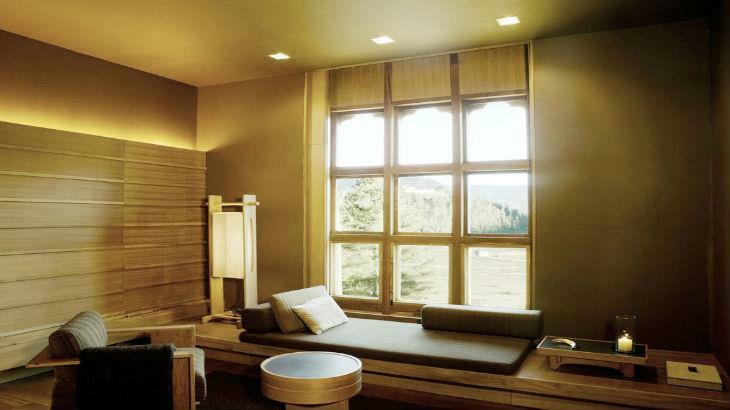 The eight Suites are identical to those of Amankora Thimphu, providing an open-plan living and bedroom area with views across the valley.. Each room contains traditional Bukhari, terrazzo-clad bath, shower, vanity, and daybed offering views across the valley. Excursions to Gangtey Village and Gangtey Goemba are offered by Amankora, as is the chance to explore the stunning natural beauty of the region itself. 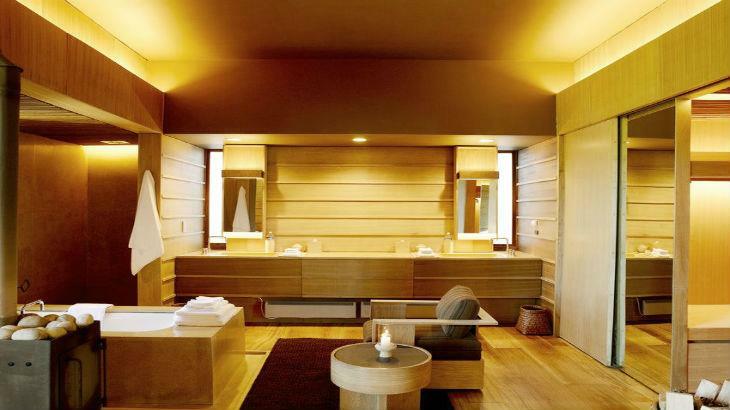 The bath is situated in a candlelit stone hut on a hill in Tokha village, a ten-minute walk from the lodge. 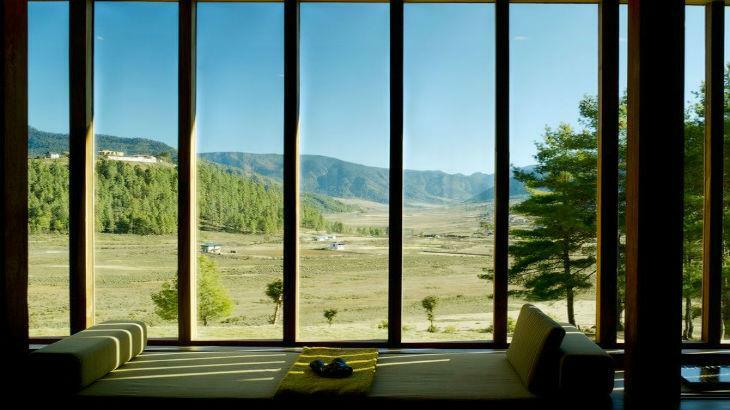 The sliding bamboo doors allow full privacy yet offer open views of the magnificent Phobjikha Valley. When you arrive, the stones used to heat up the water will be red hot on the outdoor fire. Sit back and unwind in the bath for an hour as you sip on a cup of hot apple cider and watch the sun set. Your body will benefit from the minerals in the stones and the healing of the local herbs. On return to the lodge, YOU can prolong your experience with a relaxing massage in our spa as the perfect end to your rejuvenation. $150++ per bath. 2 people can fit in one tub at the same time. This is a truly romantic dinner experience! Situated a five-minute walk from our lodge is a stone-built potato shed that houses the local farmers' autumn potato harvest. In the midst of all the spuds, we have mounted a Bukhari, the traditional wood-burning oven, to make the shed comfortably warm. 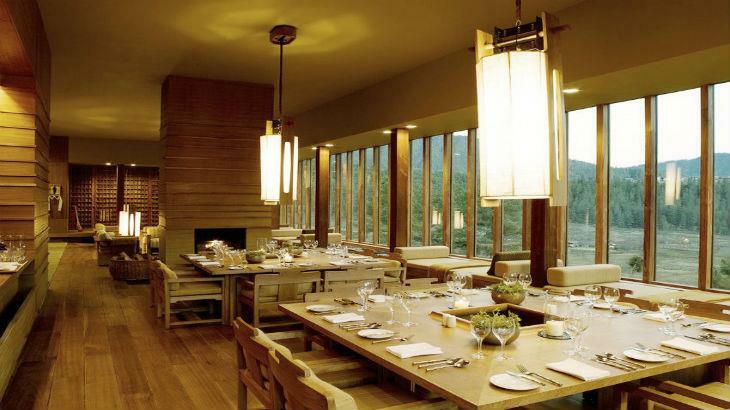 With Bhutanese wooden furniture and the flickering candles, the perfect setting for a romantic dinner is created. Start your evening with some ara, the locally brewed alcohol, by the bonfire outside, before retiring to your seats amidst the potatoes. Enjoy your Bhutanese meal in the rural surroundings while a musician enriches the atmosphere with Bhutanese instruments and folk songs. $150 ++ per couple. Surrender to the warmth and comfort of warm river stones being applied to key points of your body. Hot Stone Massage is a heat application therapy that will relax muscles & relieve emotional and mental stress through the combination of naturally warmed stones and the therapist's healing touch. The heat from the stones will draw blood into the muscles, which may result in redness in especially tense areas, lasting up to 24 hours. $150++ for 90 minutes. It is u common belief that every place has its local protective deity or spirit. To please the spirit and keep the spirit happy, the Bhutanese fumigate every morning. It is also a ritual for self-cleansing of all bad spirits surrounding us, and to be blessed with good luck. Spiritual cleansing involves the burning of selected herbs in a fumigation stupa. Here at the lodge, our stupa is located at the top of the hill in front of the main entrance. The ceremony should take place early in the morning in the presence of a monk who will assist you in the ritual. $70++ per ceremony. The wide, flat and naked Phobjikha Valley often gets windy, especially in the afternoons at this time of the year. If you are feeling playful, why not take advantage of the weather and take one of our kites for a ride. We have beautiful handmade kites in shapes of flying frogs, dragons and birds waiting for someone to take them flying.